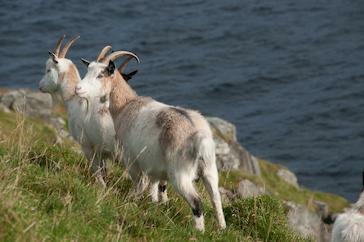 The Norwegian goat is found throughout Norway. It is kept for both milk and meat production. It is found in gray, blue, white or pied coloration. The Norwegian also has long hair.